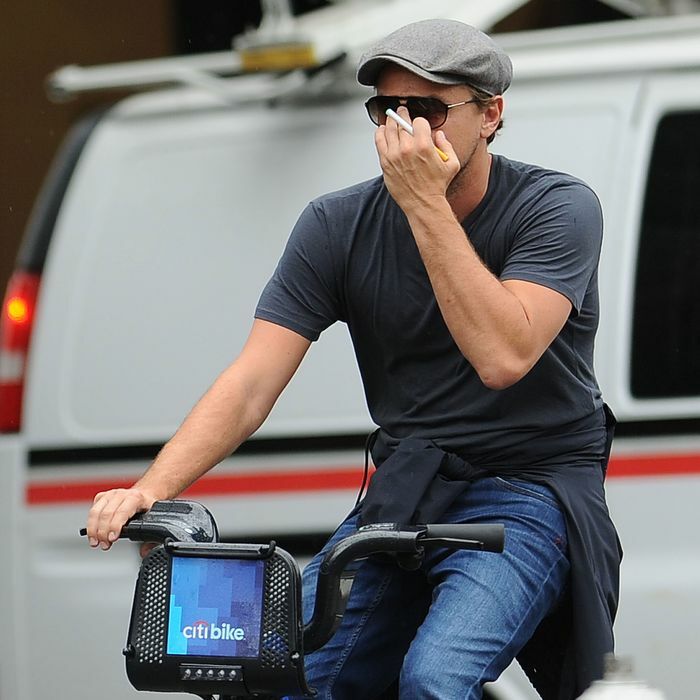 In a miraculous feat of on-trend multitasking, Oscar-nominated actor Leonardo DiCaprio took a ride through Soho, wearing a newsboy cap and aviators, while smoking an electronic cigarette. (He has been known to smoke one while dancing in a club as well.) Also worth noting: Leo has a jacket tied around his waist. The man is practical. He is trying to be healthy. He is a vision. Only in New York.